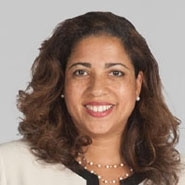 Fox Rothschild LLP congratulates Marilou E. Watson, who received the Honorable Horace A. Davenport Diversity Award by the Montgomery Bar Association. Named for the first African-American judge in Montgomery County, the inaugural award recognizes Watson for being a champion of diversity within the legal community. Watson is a newly appointed member of the MBA Board of Directors and Executive Committee as well as an avid mentor of young professionals in the legal community – particularly women and individuals from diverse backgrounds. As a longtime member of the MBA Diversity Committee, she created the association’s award winning “Day in Court” program. Now in its eighth year, the program welcomes students to the Montgomery County Courthouse to observe live court proceedings, meet with members of the legal community and ask questions about court procedure. In addition, the MBA Diversity Committee hosts the second part of the program each fall through its “Teach Law” initiative, where volunteer MBA judges and attorneys go to an area school to teach students a substantive area of law. At Fox, Watson serves as co-chair of the Life Sciences Group and focuses her practice on all aspects of intellectual property law. She previously served as co-chair of the firm’s Diversity Committee, where she assisted in spearheading initiatives that promoted firm-wide diversity and inclusiveness. She earned her J.D. from Villanova University and her B.S. in pharmacy and B.A. in biology from Temple University. Watson was presented with the award during the MBA’s Annual Business Luncheon on January 11.